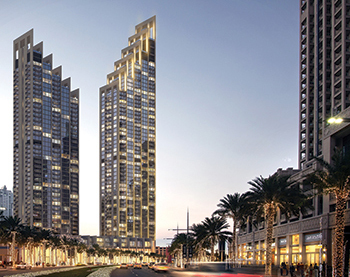 The Boulevard Heights in downtown Dubai ... Reynaers to fit CW 86-MF and MasterLine 8 systems. The selection of Reynaers Middle East as the main aluminium systems supplier of an upcoming world-class high-rise in Dubai not only speaks volumes of the company’s competency but also proves its capabilities to customise systems and innovate to suit a project’s requirements. The Boulevard Heights in downtown Dubai is a milestone project for the company as it will be fitted with the company’s latest product solutions, which include the CW 86-MF curtain-wall variant, and the MasterLine 8 window and doors variant. Described as the ‘The Centre of Now’, the 50-storey state-of-the-art tower is modelled on New York and Chicago skyscrapers. The twin-tower residential development exudes luxury, elegance and contemporary chic – attributes to which Reynaers aluminium systems are a perfect match, according to Ali Khalaf, managing director of Reynaers Middle East. Khalaf ... Reynaers aluminium systems are a perfect match. Boulevard Heights is among the latest ventures of leading developer Emaar Properties of the UAE. Group Consult International is the lead consultant, while the main contractor is Target Engineering Construction. The fabricator scheduled for this project is Zebian Industries, which is responsible for several other large-sized projects like The Bay’s Edge Tower, Hind Tower and the Palm Towers. Khalaf says Reynaers continues to take on ambitious initiatives in line with its vision to increase the value of buildings and enhance the living and working environment of people worldwide. “The execution of such prestigious and world-class projects demonstrates Reynaers’ competency in taking on international-level project requirements. However, it also emphasises an important fact about Reynaers’ deep-rooted commitment to serve its customers with a very clear agenda – an agenda to constantly innovate and provide the right solutions to the market as per their precise needs,” he stresses. 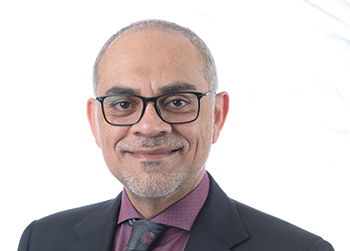 Regarding the products specified for the Boulevard Heights, Khalaf says the execution speed on site is very important for such building projects and the CW 86-MF, therefore, offers a special solution, where elements can be pre-assembled in the workshop. On site, the facade can be built up element by element according to the modular curtain-wall principle. Khalaf further says the residents of Boulevard Heights can experience ‘living in the sky’, thanks to Reynaers’ highly advanced facade systems installed on the towers and integrated with MasterLine 8 door systems. Launched in 2016, MasterLine 8 is specially designed to cater to the new generation of innovative window and doors solutions. It mirrors the current architectural trend towards maximising daylight while offering the ultimate performance regarding thermal insulation and air- and water-tightness, explains Khalaf. He says the unique door and window system combines countless design possibilities with first-in-class performance and production speed, which is an ever-increasing request from project owners and executors. Reynaers Middle East is the Bahrain-based regional subsidiary of Reynaers Aluminium, a leading European specialist that manufactures and markets innovative and sustainable aluminium solutions for windows, doors, curtain-walls, sliding systems, sun-screening and conservatories. Besides a wide range of standard solutions, the company also develops tailor-made solutions for all market sectors – from residential to commercial and industrial projects. Reynaers’ high-quality systems meet the most stringent demands in terms of comfort, security, architectural design, and energy-efficiency. It acts as a valuable partner for architects, fabricators, solar installers, project developers, investors and end-users. Founded in 1965, Reynaers currently employs over 1,770 workers in 40 countries worldwide and exports to more than 70 countries on five continents.